Oromo regional state head, Lemma Megersa, sent a warning today to what he refers to as “entity that is arming in the name of Oromo Liberation Front” to refrain from causing suffering to people in Oromo regional state’s western zones and in Qelem district. Yet, his statement today, as reported by Fana Broadcasting Corporation (FBC), made it clear that government will no longer tolerate forces that cause security problems to the people and violate the constitution. “Government has been patient about such acts [anarchy and violations of constitution]. From now on, government will work to protect the safety and security of the people and defend the constitution,” he said. As well, he called on elders to approach those who are involved in illegal activity and advise them to rather take the path to peace. Lemma’s statement came a day after news of clashes between OLF rebel fighters and government soldiers in Qelem district, Wollega, in Western Ethiopia which authorities denied. Security head in the region, Colonel Geresu, said that there is no war between government forces and OLF militia. However, he admitted that government is disarming OLF fighters. Youth groups in some towns in Wollega region staged demonstration yesterday to oppose government move to disarm OLF fighters. 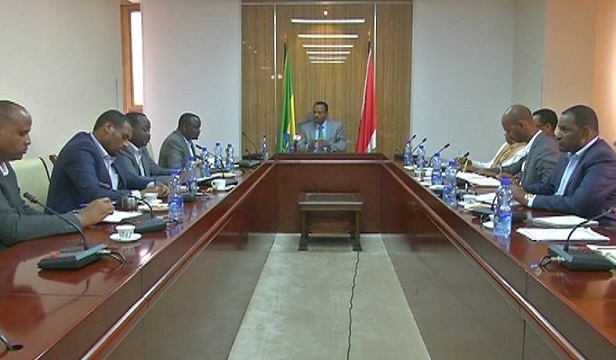 In a related development, Lemma Megersa reportedly held a meeting with Ashadly Hassan, head of Benshangul Gumuz region of Ethiopia, in his office on security matters affecting people in areas adjoining the two regional states. And they have agreed to start working together right away to stop displacement of people from what they call “the border region.” It remains a question as to why their meeting came late if they could take measures that could stop displacement of people.